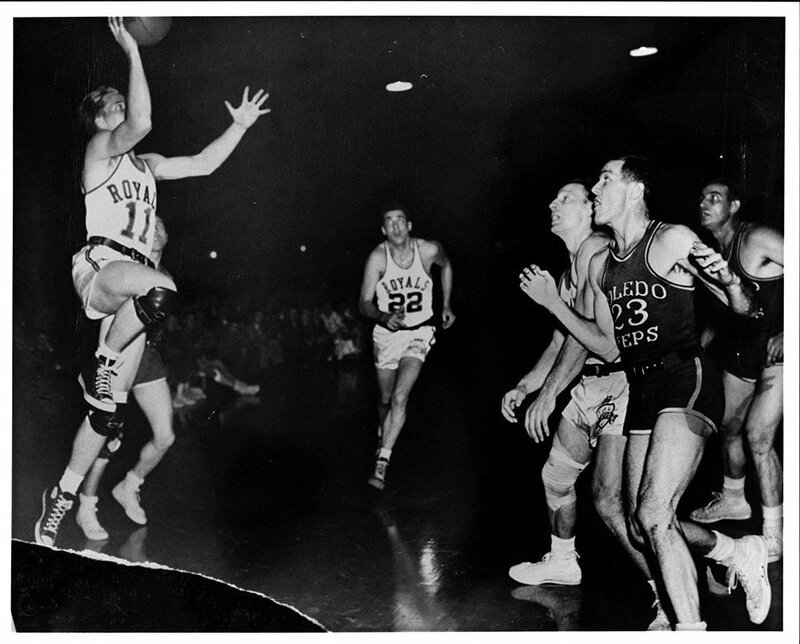 The Kings are the old professional American basketball team still in existence, having been formed in 1923. Since 1923 the franchise has relocated five times, the most in NBA history, and has had four different nicknames. Originally called the Rochester Seagrams; they were named for the Seagrams distillery in Rochester. 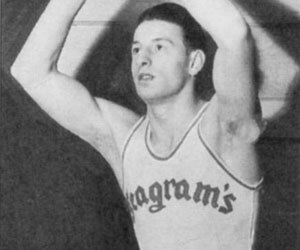 The team remained the Seagrams until 1943 when they became the Eber Seagram Pros for one season. The following season they became just the Rochester Pros. 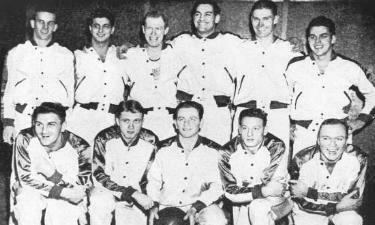 In 1945 the team joined the NBL and had to find a new name since all the teams in the league were professionals or pros. A contest was held and Royals won. 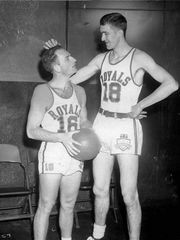 The team remained the Royals through their most success years in Rochester and even on to Cincinnati where they moved in 1957. The team relocated again in 1972 and played their games between Kansas City, Missouri and Omaha, Nebraska. Because Kansas City already had a team named the Royals the current Royals were forced to change their name. They selected Kings due to its closeness to Royals. The Kings have kept the nickname since 1972 taking it with them to Kansa City after the dropped Omaha and than on to Sacramento. 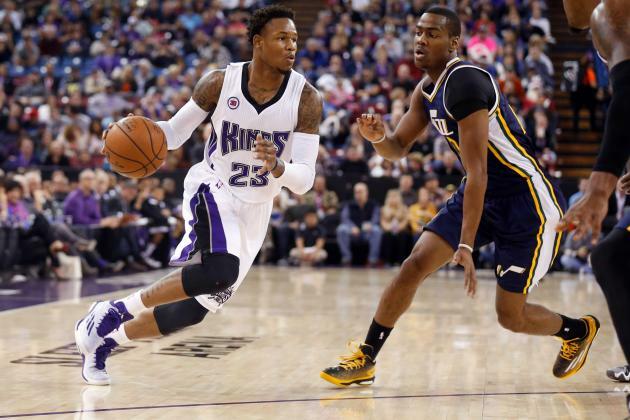 The Kings have had one of the roughest roads in the NBA. 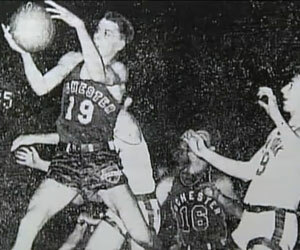 The lack of success has been a problem that has plagued this franchise since the merger of the NBL and BAA in 1949. 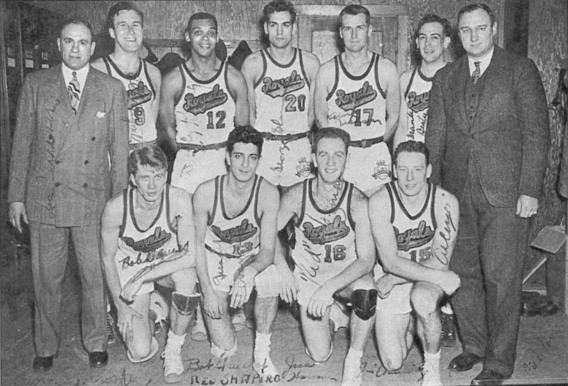 Before the merger the Seagrams were one of the most successful teams in all of basketball. The 1920s and 30s were an incredibly hard time to operate a basketball team. In these decades, and even into the 1940s and 1950s, most franchises were expected to last only 2 or 3 seasons before folding. However, because of the sponsorship of Seagrams distillery, the Seagrams were able to stay afloat financially while most their competitors disbanded. This is why the Seagrams never joined a league. Most leagues were shakier than most the individual teams, and by barnstorming the Seagrams could earn more money. This all changed in 1945 when the most talented players started opting for the NBL rather than the independent circuit. This forced the Seagrams to become the Royals and join the NBL. 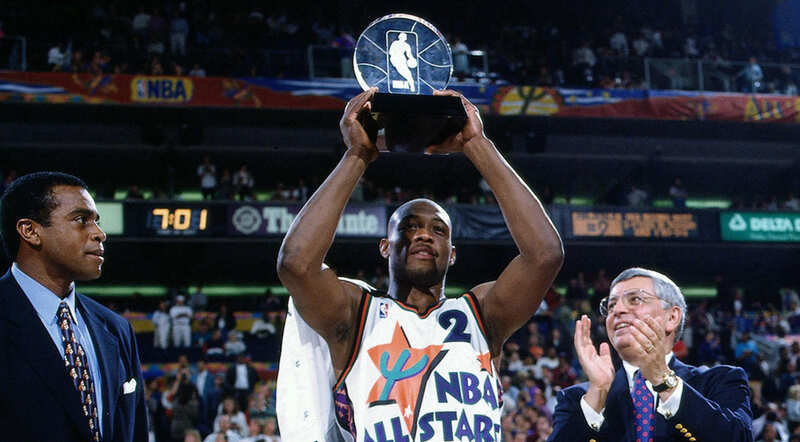 The NBL years are some of the best in franchise history. The first year after joining the league the Royals won the title, and in their next two seasons they made the finals both times. The following year the Royals moved to the BAA and lost in the west finals. 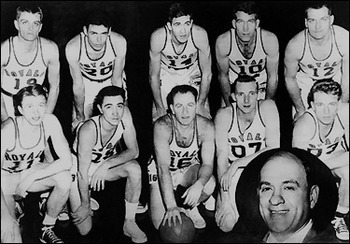 The BAA and NBL would merge in 1949 and the Royals would continue to see success, including winning another title in 1951. This success was short lived as the franchise began a downward spiral for which it never really have overcome. 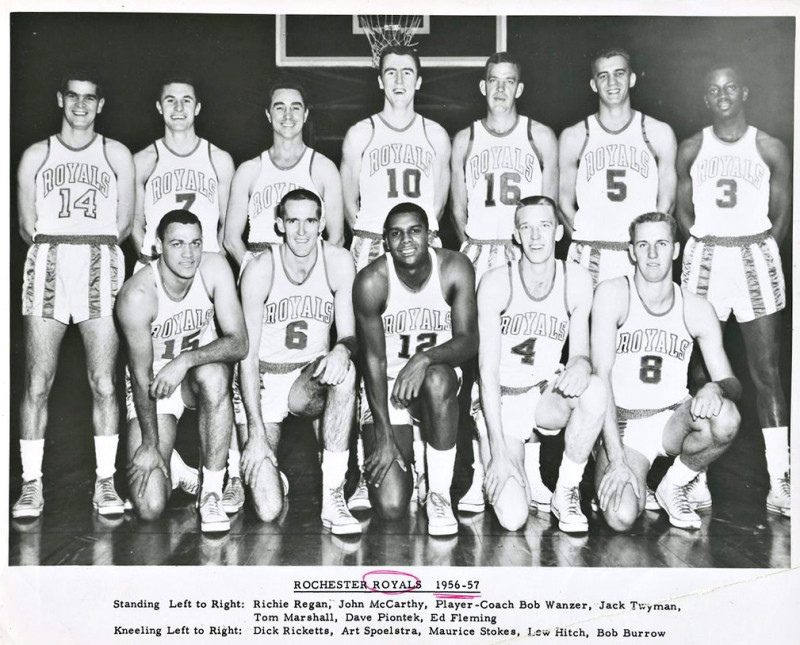 The Royals seen some success in the early 1960s behind Oscar Robertson and Jack Twyman while in Cincinnati, but never won anything of significance. Since the end of the Royals era, which last from 45 until 1955, team has won only 3 division titles (79,02,03), has only won 50 or more games 5 times (64, 01-05) and only made the playoffs 22 times in 60 seasons and have advance beyond the first round 9 times. Most of the Kings success after the Royals era was in the early 2000s. From 1998-2006 the Kings made the playoffs every season, their longest streak in franchise history, and won 5 playoff series. The franchise in its history has only won 14 playoff series title, so the 5 series wins, all coming between 01 and 04, is highly important. The Kings had a real shot at making the finals in 2002 but lost in 7 games to the Los Angeles Lakers in a very controversial Western Conference Finals series which many fans feel that they were cheated out of a shot at the title. Since 2006 the Kings have been abysmal, having not had a winning record and having undergone roster rebuild after roster rebuild. 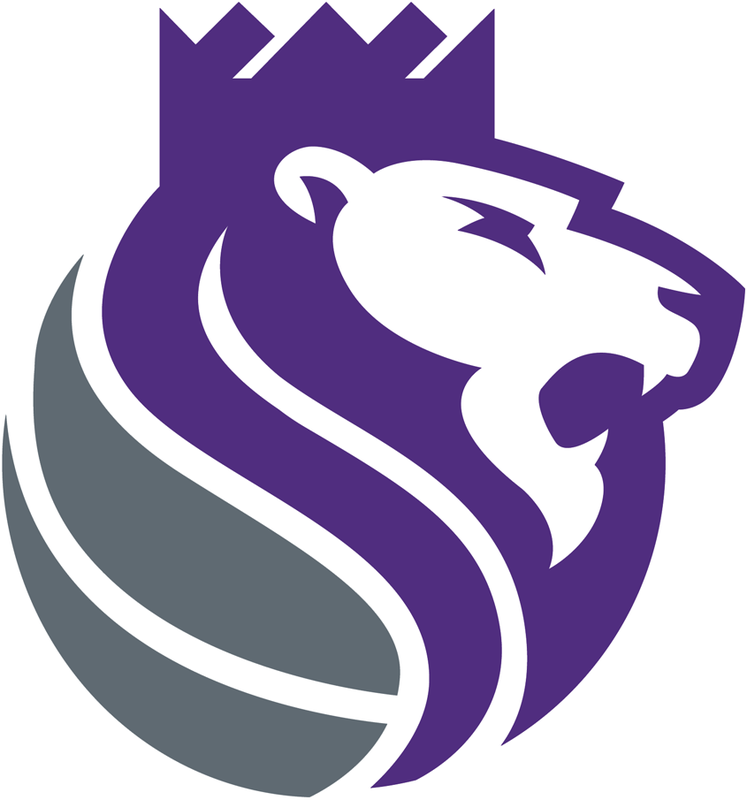 A new ownership change a new arena, which is under construction, and the efforts of former NBA all-star and Sacramento mayor Kevin Johnson will keep the team in Sacramento for the foreseeable future and hopefully improve the franchises fortunes. 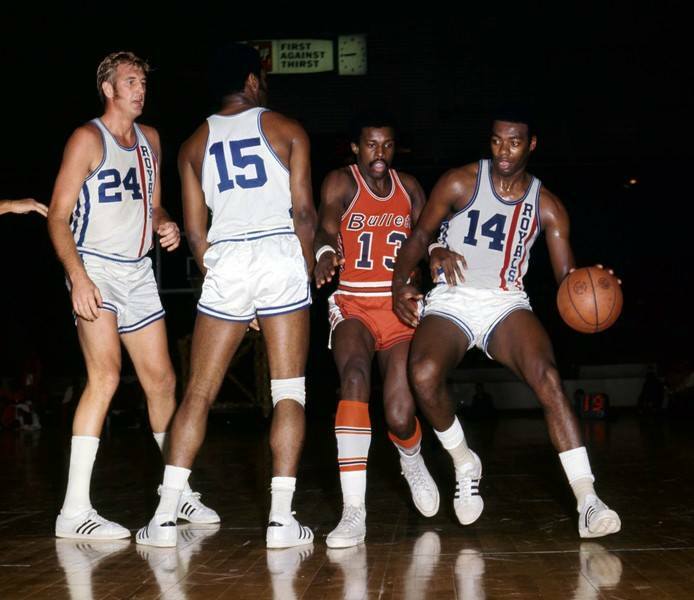 Oscar Robertson vs the Bullets.